EOTO is established as one of the premier programs in North Georgia. This year the organization helped groom one of the nation’s best shooting guards in Endia Banks of Duluth, Ga. Banks signed with the University of Miami this fall. Program director Ken Huffman also helped oversee signings for a number of players at various other levels. The organization’s ability to meet player’s where they are at and elevate them to the next step has been the trademark for the program. Read more on the ladies who wear the penguin proudly on their jerseys. 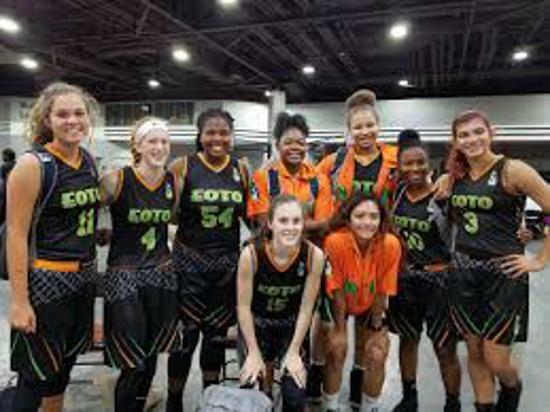 EOTO: EOTO had some of the most fun teams to watch on the Georgia Cup circuit, notably the teams from the middle school and high school divisions. 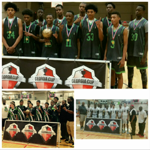 The 13U, 15U, and 17U teams all came away with championships and had multiple players of note. The 13U got great play in the series from Toneari Lane, who was one of the standouts of the middle school divisions. The 15U saw players like Cameron Phillips, Shamari McLeod, and the Rosser twins. The 17U had Georgia Cup staple players like Ken Stanciel and JaQuan Morris. 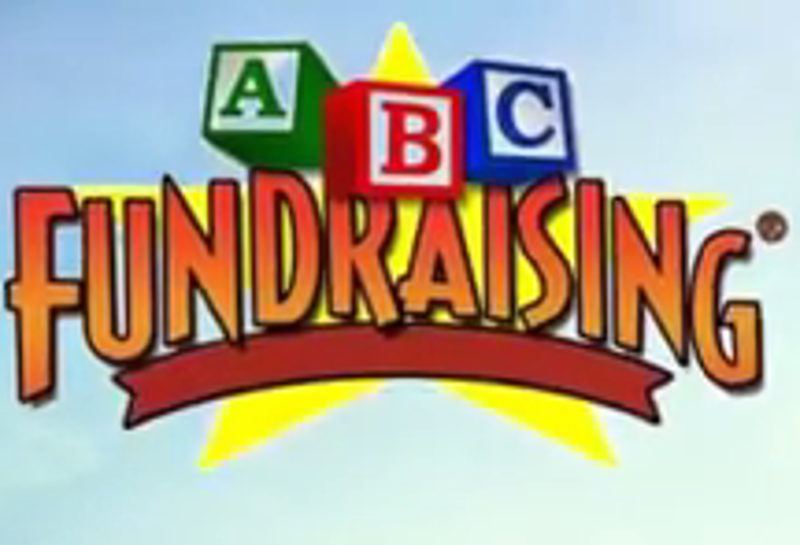 Be on the lookout for this program in the future. Coach Byron Gillespie and his 10th Grade ran through the competition at the Nola Super 60 taking home the Trophy. 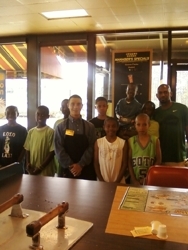 EOTO Basketball and Future Phenom joins forces to make a profound impact in the AAU world! Toneari Lane, 2020 PF, Lawrenceville (GA): No seventh grader came close to Lane. In fact, most onlookers needed to do a double take at the roster. How could this physically mature, assertive power player be so young? 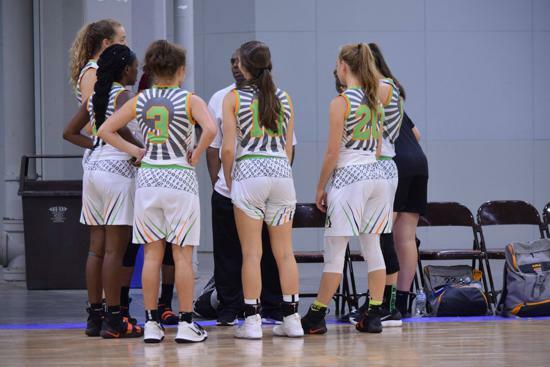 The EOTO philosophy revolves around the player development and the importance of team work, competing for one common goal of coming together to win. 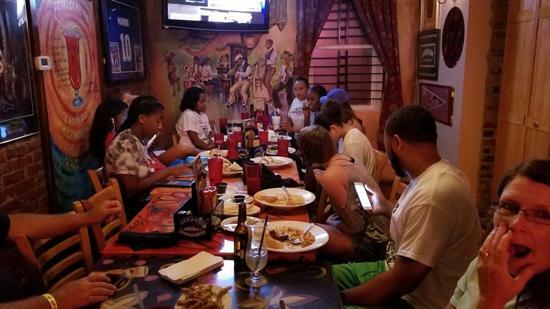 “One Family, One Team,” a motto that carried a team of eight and nine-year-olds to an outstanding second place finish at AAU Nationals (division one). EOTO is open to both boys and girls. Boys ages 8u, 10u, and 11u, and girls grades 3rd-8th, and high school with plans of expanding to more age groups in the near future. 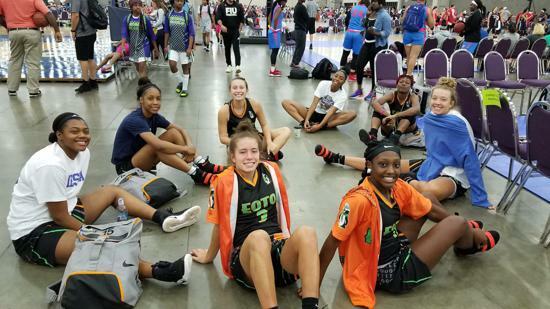 You can expect to find EOTO in several D1 Spects tournaments in addition to YBOA, and making appearances out of state as well in Charlotte NC, Birmingham AL, New Orleans LA, Little Rock, AR, and Orlando FL. 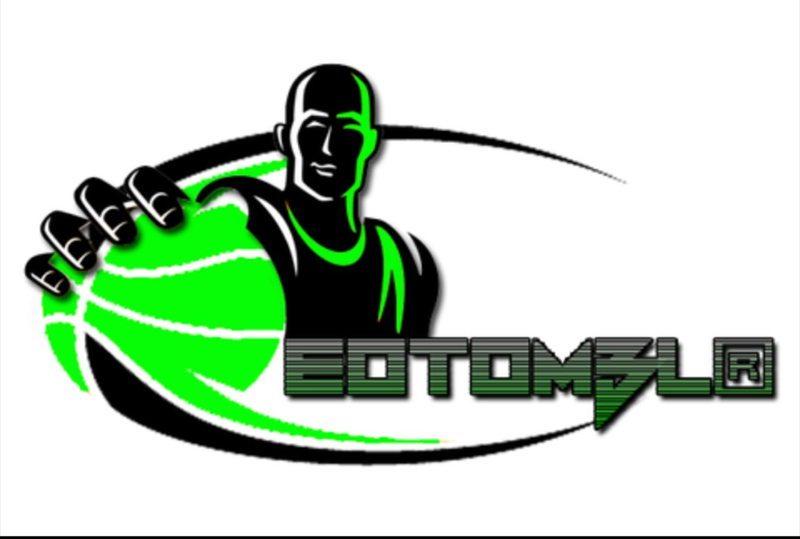 We would like to welcome Tennessee Primetime Elite to the EOTO Family. Burkley James and Jerel "Jay" Heyward have decided to come together as EOTO. We have always had a great relationship and have always supported each other. Now "We Are Family". This is a great fit as there are alot of very talented young men in Jays organization. The combination of these groups could be dangerous on a National level. It is also an honor to have another dedicated leader as our partner. We look forward to see the results. Visit www.theplay-book.com for College Recruiting tips and info. 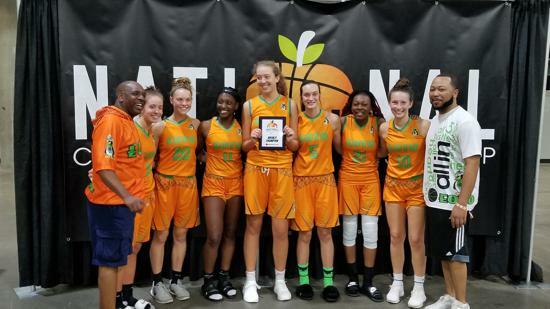 Also as a way for Athletes to be reached by College Coaches..
EOTO proved that it is the premier travel program in the North Georgia area this year. 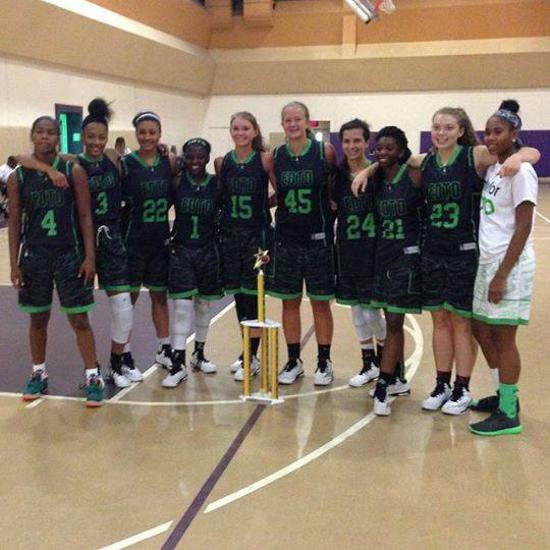 Their Black squad played on the most competitive exposure scene this summer and played with many of the nation’s top programs. 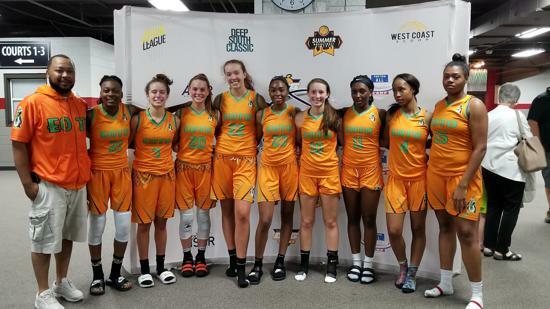 Their younger teams also competed in elite exposure tournaments while winning dozens of games while helping their prospects earn the attention of college coaches. Read how EOTO turned the corner in 2015. 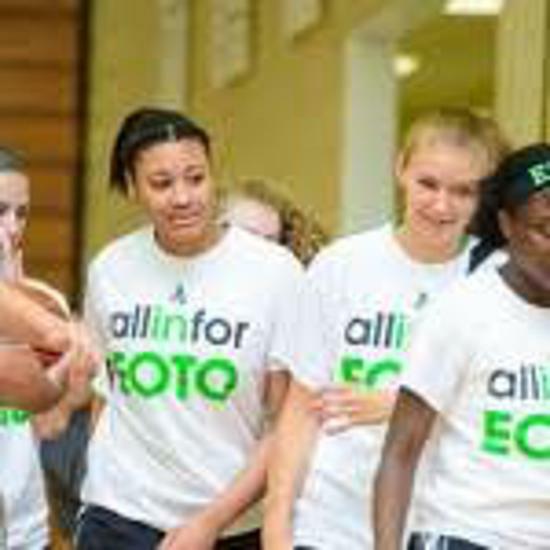 The EOTO organization is a pipeline of talent that helps promote players to play at the next level. Here is a rundown of what some of their alumae are achieving at the next level. Jasmine Jenkins of Gainesville, Ga.,started 22 games lastyear as a point guard at Vanderbilt University. She enters her senior year in the SEC. Haley Gerrin of Clarkesville, Ga., enters her junior year at Georgia State this season. Gerrin was in the running as Freshman Player of the Year in the Sun Belt Conferencebefore a season ending back injury sidelined her for the stretch of the season. She has started 31 games in two years and remains as one of the more reliable post players on Sharon Baldwin-Tener’s roster. Tavia Sykes of Flowery Branch, Ga., is writing her success story atGeorgia Regents University as she heads into her junior season. She was named the team’sMost Valuable Player as a Freshman. She is one of the Jaguars most steady performers as she heads into her junior season this year. 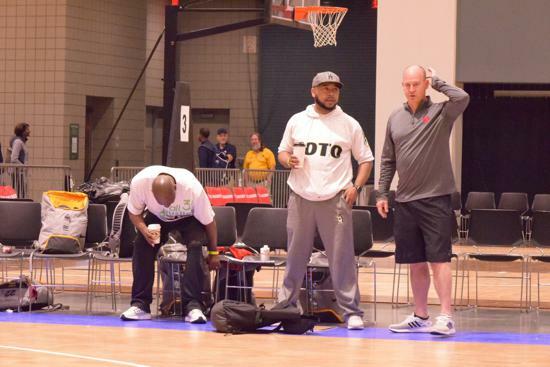 The EOTO organization headed up by coach Ken Huffman concluded another successful travel season. By Huffman’s account, this year might have been the best as of yet. 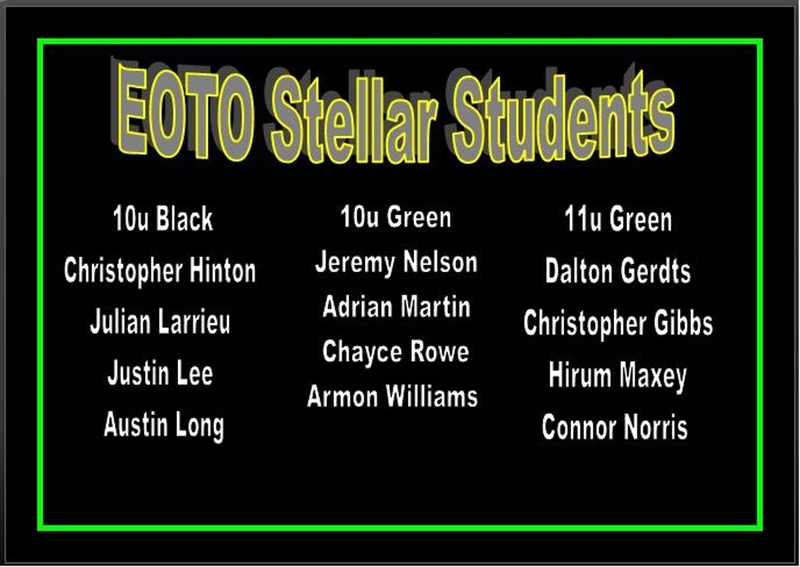 Their program boasted of 12 total teams and nearly 130 individual players that trained and competed with EOTO . Huffman’s Black team played in the bracket championship game of the #PSBSummerInvite and took Central Florida Elite EYBL to the final buzzer. That game gave Huffman’s group invaluable exposure as 75+ college coaches sat on the court to watch. The most satisfying moments while working on the travel ball scene is watching players realize their dreams. Huffman got to watch two of his veteran players commit to the same school on the same weekend last month. Class of 2016 forward Karlie Bearden of Dawsonville, Ga., and Breanna Locke of Flowery Branch, Ga., both committed to coach Katie Pate at Lenoir-Rhyne University. 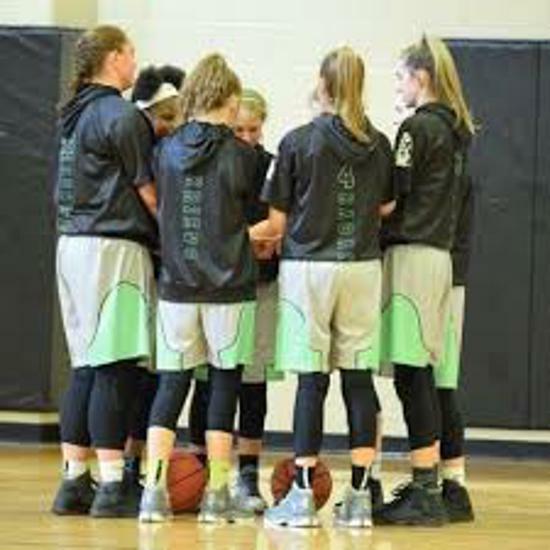 Both players project to be impact players for the Bears in Hickory, N.C. Bearden a 6-foot sharp shooter also provides energy and hustle along the frontline. Whereas Locke is a 5-11 versatile forward who can do everything from arguing essay rebound to handle the ball on the perimeter. 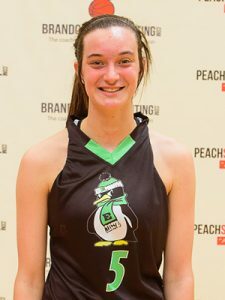 Huffman also mentioned class of 2016 guard Maddie Hetzel of Flowery Branch, Ga., as another senior who is positioned to play college basketball next year. 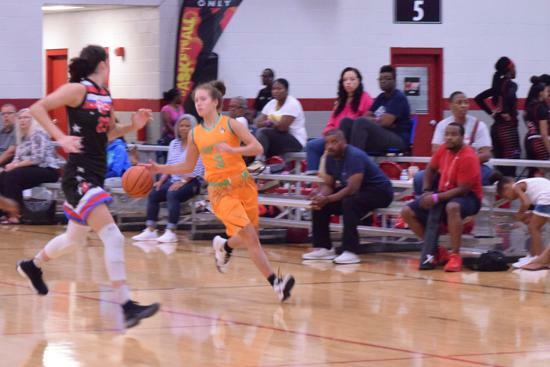 The 5-9 guard impressed ProspectsNation.com evaluators and college coaches in the building at the #PSBMayDay with her feel for the game and athleticism. 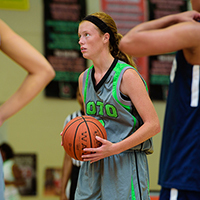 Hetzel already has two college visits set up this fall. The testament of a strong program is how well do they replace players after graduation. With Bearden and Locke having carried the load for many years, Huffman does have players ready to fill big roles next season. 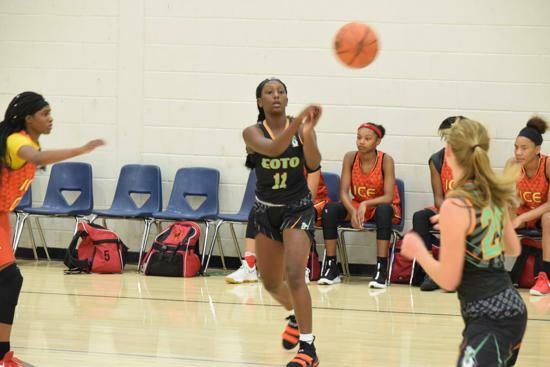 Heading that list is 6-1 forward Deja Mitchell of Duluth, Ga. 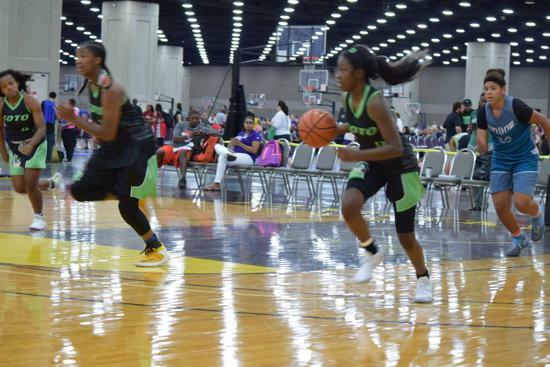 The athletic forward has progressed in her development in past years and is beginning to attract the attention of college coaches. 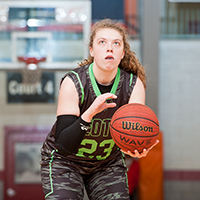 Watch for class of 2017 post Hope Forrester of Jefferson, Ga., to have a breakout high school season. The 6-2 interior player embraces rebounding and is effective with finishing with either hand around the basket. Another class of 2017 prospect from Duluth that Huffman is optimistic about is Brianna Dixon. 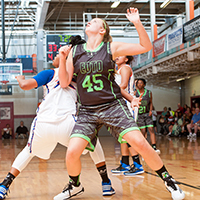 At 6-1 she has size that is reserved for post players, however she is a natural point guard. She is only scratching theargument essay conclusion surface of her potential. Finally watch for class of 2017 wing Nia Lee of Lawrenceville, Ga., to make a big jump in future months. She has the athleticism to make a big impact in upcoming seasons. There is still plenty of talent that is in Huffman’s pipeline beyond the class of 2017. 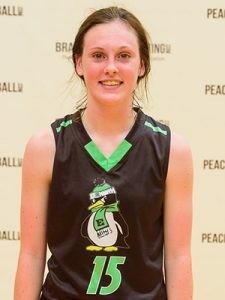 The Class of 2018 is headed up by point guard Lexie Sengkhammee of Braselton, Ga., who continues to earn the adoration of evaluators at #TeamPSB events. 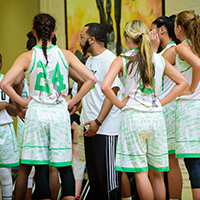 The Gray team was led by class of 2018 forward Lilian Kennedy and Taniyah Worth of Buford, Ga. Both are athletic players that continue to make improvement. 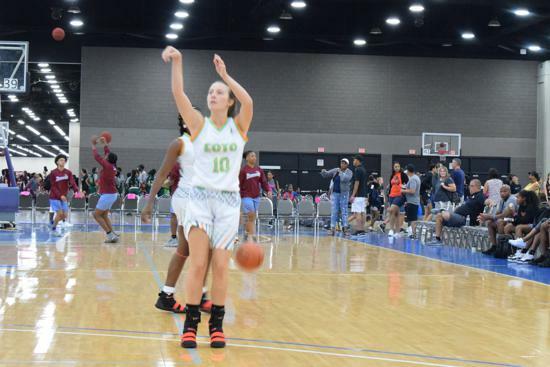 The class of 2019 is packed with talent which starts with guard Caroline Wysocki of Flowery Branch, Ga., is proving to be one of the most crafty ball-handlers on the circuit. 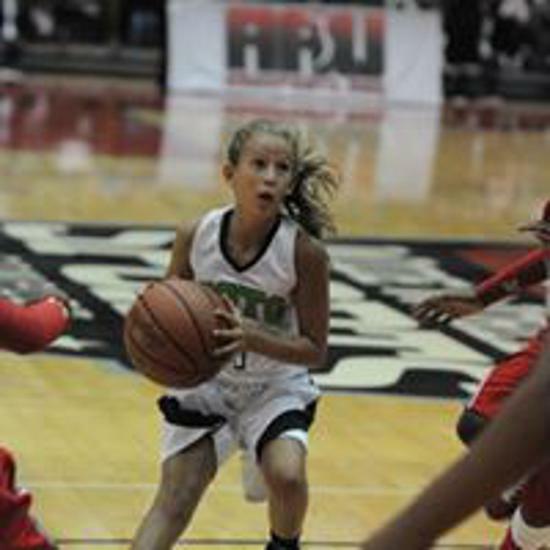 She teamed up withBrooke Hendricks of Clayton, Ga., while playing with the White team. Hendricks, a 5-9 wing, is making strides with her skill and athleticism this year. Huffman also raved about the potential that wing forwards Tajei Blackwell of Gainesville Ga., and Kennedy Powell of Woodstock, Ga., have on the floor. Both players are poised to earn great reputations in future seasons. Shortly after Ken Huffman took the job of athletic director at the Boys & Girls Clubs of Hall County in Georgia, he was driving through the neighborhood one night and noticed 13-year-old Jasmine Jenkins outside playing basketball. He stopped to introduce himself and tell her about the Club. It turned out to be a chance encounter that would change the lives of both Jasmine and Ken. 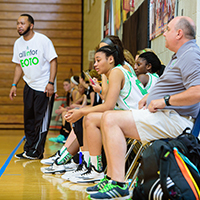 Ken began spending his weekends working with his protege on the court as well as looking for a venue that would give Jasmine exposure to college coaches. 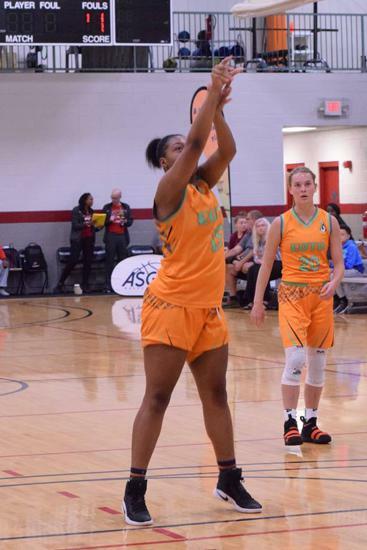 With her improved focus playing out in the classroom as well, he saw that her grade-point average coupled with her basketball abilities made a college scholarship a real possibility. 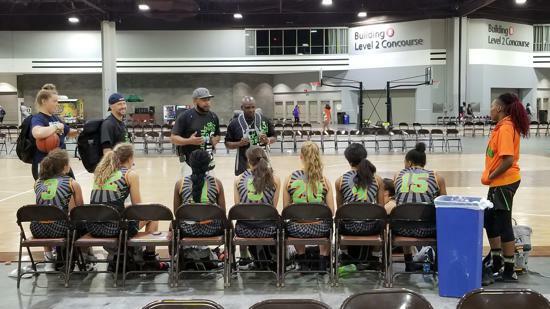 Though he hadn’t planned on coaching girls’ basketball—his experience was in coaching football—he created the Each One Teach One (EOTO) AAU basketball team built around Jasmine and designed to travel the region and play in high-profile tournaments. 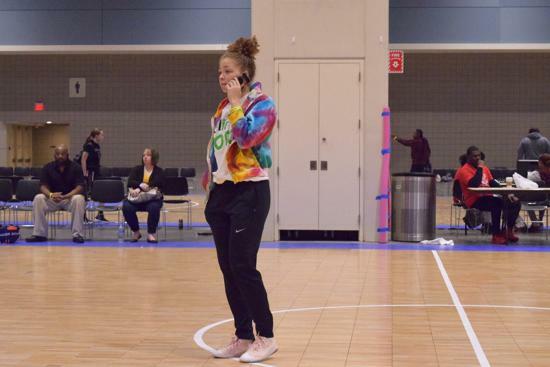 From the start, Jasmine was one of the first to arrive at practice and the last to leave, her dogged determination taking on a life of its own. Jasmine has an incredible story and one that bears repeating. She learned to take the obstacles in her life and learn from them. The meeting between Ken and her was meant to be, through the grace of God. I am glad to read that not only is she in college, but also she is actively involved in the lives of others who may also face the same challenges that she did growing up. Our pastor says, "That your attitude determines your altitude." Jasmine really does prove this. Thank you Ken for taking the time to be a positive mentor and role model, and Jasmine I'm so proud of you. I would say what both of you are doing represents Love, and God is Love! 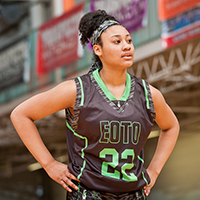 Zakaya Wright is part of a bright future for EOTO. Watch for her and her teammates to make steps forward in years to come. 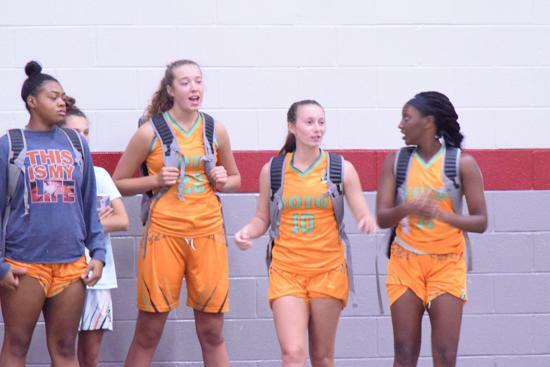 Other players who stepped in big moments this year were class of 2015 forward Ashley Parker and class of 2016 swing forward Karlie Bearden and both of Dawsonville, Ga. Parker gave her verbal commitment to North Georgia before the month of July began. 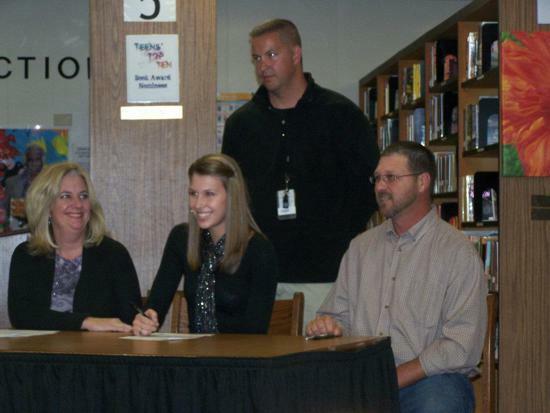 Her reputation as a shooter earned her a spot on the roster for the Lady Nighthawks in years to come. The 5-11 Bearden is a player of skill who has also gained interest from North Georgia as well as several other schools in the region. Coach Pamela Johnson took the leadership role for this team this year and helped guide several promising players in the right direction. 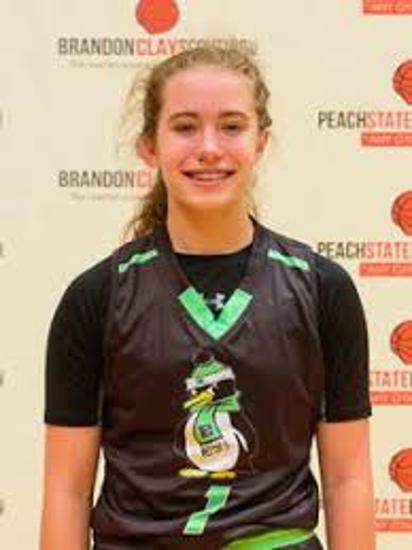 Continue to watch the development of class of 2016 guard Maddie Hetzel of Flowery Branch, Ga., who Huffman calls a “gym rat.” Also class of 2017 guard Hannah Grogan of Gainesville, Ga., is a player that is making strides. She has been a part of the EOTO organization since she was in fourth grade. 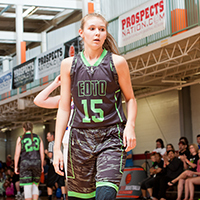 Karlie Bearden of Dawsonville, Ga., is leading the youth movement this July for E.O.T.O. Primarily operating in the North Georgia area, Ken Huffman has developed numerous college prospects since 2007. His E.O.T.O teams are known for having skilled individuals who work well within a team concept. Two of the more notable players that Huffman had a hand in helping are Jasmine Jenkins of Oakwood, Ga., who is entering her sophomore year at Vanderbilt University. Also, Morgan Jackson of Gillsville, Ga., just finished her first year Georgia State also played for E.OT.O for several years. Both players contributed significant minutes as freshman at their respective schools, which speaks highly of the training that Huffman provided. 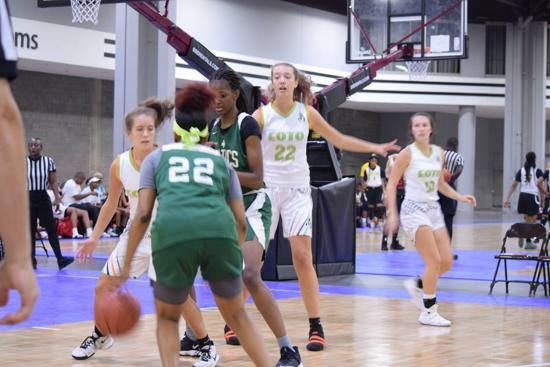 This year, E.O.T.O., is experiencing a youth movement of sorts after the graduations of Maya Dillard of Dillard, Ga., who signed with Lipscomb and Haley Gerrin of Clarksville, Ga., who will play at Georgia State next season. 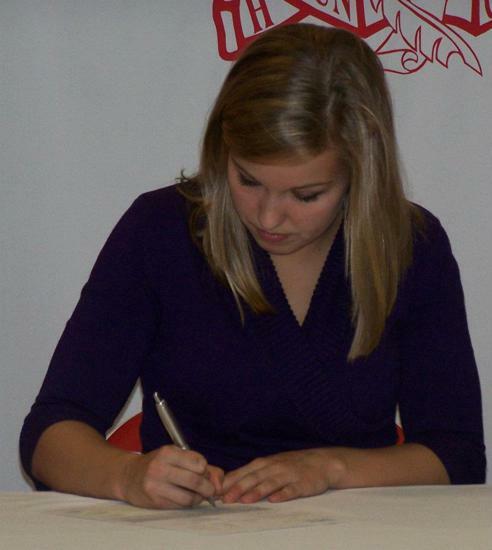 One of the more promising players for Coach Huffman this year is 5–foot–11 forward Karlie Bearden of Dawsonville, Ga. The skilled forward can knock down the open jumper and is a developing ball handler. Alongside of Bearden is 5-8 guard Corey Staples of Buford, Ga. The athletic wing is known most for her active presence on the court. Her developing perimeter skills make her a player who will not be an under the radar prospect for long. 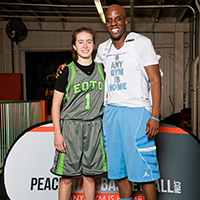 ProspectsNation.com National Evaluator Stephen Peck says that “E.O.T.O. is a quality program with quality individuals from top to bottom. 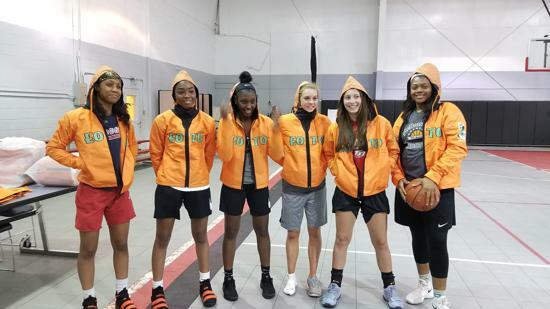 Coach Huffman sets the tone by helping these young ladies reach their goals yearly.” Check ProspectsNation.com next week for updates on E.O.T.O. and all of your favorite girls basketball players. 6th grade EOTO wins March Madness!!! 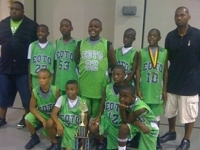 Coach Tray Watson and team end a three day battle with Victory on March 27, 2011 for 6th grade EOTO!!! EOTO Dominates "The GA Cup"
EOTO had a good weekend at SSA Ga Cup. Three teams competed and had a combined record of 14-1. The 2017 16u Team went 5-0, the 2018 15u Team went 4-1 and the 2020 13u Team went 5-0. All resulting in Championships. Good job fellas and good luck to the 13u Team on their way to Chicago for a tournament. 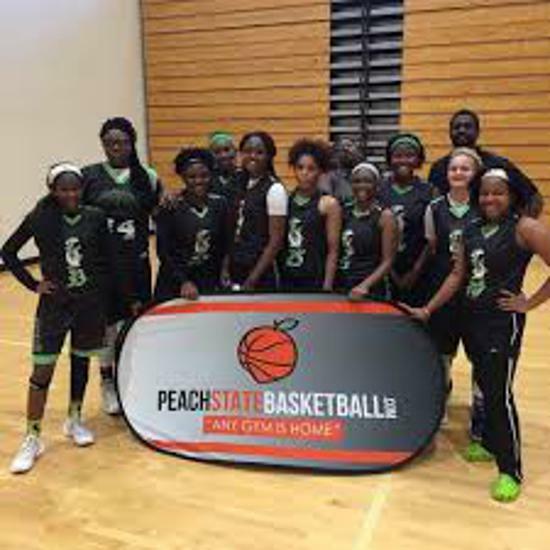 2018 EOTO Win 2014 Peach State 8th Grade "SHIP"
Our 8th Grade Team coached by Jerel Heyward and Chuck Graham won the 8th Grade division of the Peach State in Augusta. The kids played well and went undefeated all the way through. 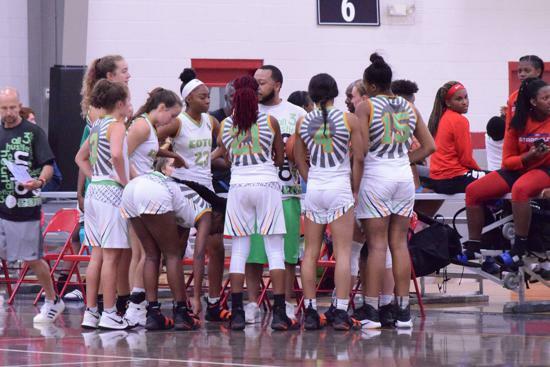 Each One Teach One Basketball Club of Central Virginia (EOTO-VA) returned home with a Top 10 finish in the USBA National Championships 10th Grade Division. The tournament was held July 9th thru 13th in North Myrtle Beach, SC earlier this month. 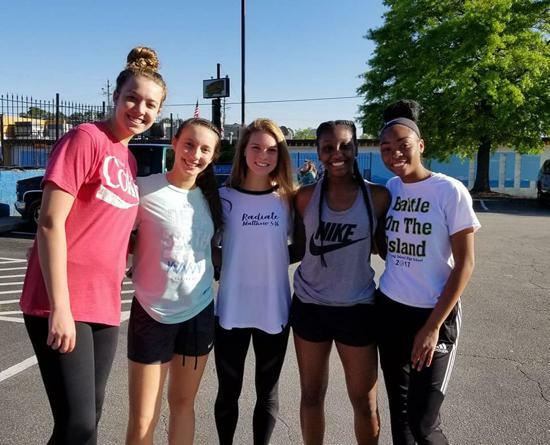 Undermanned due to injuries and schedule conflicts, the team of ninth and tenth graders from Central Virginia area high schools hit the road for a week long basketball trip. After a tough start in pool play, losing games they probably should have won, Each One Teach One pulled together for dynamic back-to-back victories, earning their way to the American Division semi-final game. 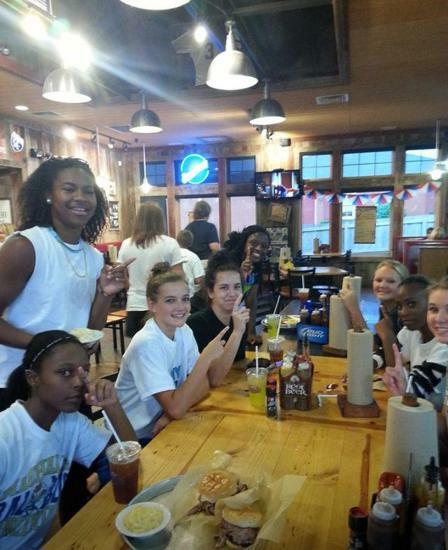 They finished third in their bracket and seventh overall in their 10 Grade Division. Players that made the trip to USBA Nationals included; #2-Mason Livers (G), #10-Colby Hall (G), #18-Andrew Taylor (F), #20-Isaiah Gholson (G/F), #23-Hunter Johnson (G), #24-Quincy Green (G/F), #35-Anwar Collins (C), #42-Jordan Walker (F/C). Congratulations to the EOTO-VA squad, team management and a strong parental contingent for a good first season under the EOTO umbrella..
EOTO TN 6th Grade wins STATE! Our program would like to congratulate coach "J" Heyward and the 6th Grade team for winning the AAU State Championship, in Nashville, TN. In only it's 1st year of existence the team managed to breeze through the sub state and pool play of the state tourney. Only to follow with a total team effort to defeat nationally ranked #4 Memphis War Eagles by 8! We are extremely proud of these young men as they have made history. 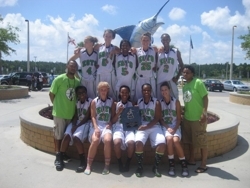 The team became the 1st team from Knoxville,TN to ever win AAU State Tournament! 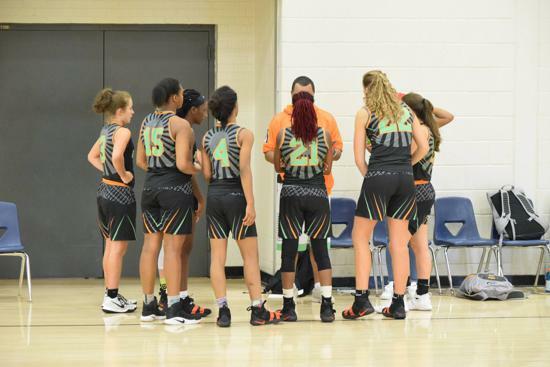 Playing short-handed due to illness and injuries, EOTO's 10th grade squad from Virginia had an impressive outing at the USBA NC Elite Memorial Day Classic in Butner, NC. After a slow paced 8 point win in the morning, EOTO found themselves down 14 at the half in the semi-final contest. In the 3rd quarter, they turned up the pressure on both ends of the court. On the heels of key steals by guard TeAndrey Taylor, five second half 3's from G/F Quincy Green, and major moves to the hoop by guards Damir Gordan and Colby Hall, EOTO-VA completed the comeback and moved on to the championship game. In the finals the under-manned squad continued its aggressive play, walking away with the 2nd place medal. Congratulations EOTO-VA! Congrats to Coach Dennis Wonnum and his assistant Coach Collier on their big win over the Georgia Grizzles in the Championship Game. The game went in to overtime; Elijah Lopez hit a 3 which sealed the deal for the win! Tylan Oglesby was the tournament MVP. Jamison Collier, Tylan Oglesby and Damon Davis were chosen for the All-Tournament Team. Great Job EOTO 7th Grade boys!!! EOTO would like to welcome our 16u family from Chesterfield, VA.
We just want to welcome our latest addition to the EOTO Family. Les Johnson and his 10the grade team out of Chesterfield, VA. We are happy you guys decided to join us and we look forward to a great season. For more info about this EOTO team, click the EOTO-VA link on the left side of the page. Coach Bradley has been coaching and developing kids in the Petersburg and Chesterfield, Va area for the last eight years. He is dedicated to the youth in these communities and has built a good repoire with area coaches and young athletes. Coach Graves is one of the most aggressive recruiters of young basketball players that I have seen in a long time, he has knack for finding young talent. Graves coaches and developes talent in the Dinwiddie and Hopewell, VA area. He coached last year for Team Crossover and brings valuable experience and character to our team. Les Johnson has been coaching AAU basketball for twelve years and has a ton of experience in sports from AAU, high school and college. He has decided to run a team instead of coaching, because he wants to change the negative perception surronding AAU basketball. His ultimate goal: Each One Teach One! 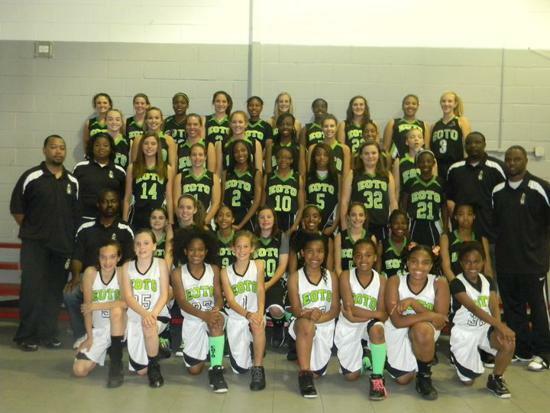 Congrats to both EOTO 11u squads for a very good showing at YBOA Nationals, in Kissimmee, Fl. The only blemish on their records was when they played each other in the Elite Eight. Scott Belyeu's Black team beat Ken Eskridge's Green team by a 9 point margin 55-46. That was the closest that anyone came to the Black squad. The Black team went on to beat the tournament favorite Central Florida Magic by a score of 51-39. earning them a chance to face the Tennessee Hot Shots in the Championship, which they won 65-46. EOTO 2018 Boys (12u) place 2nd at Las Vegas Live!!! Congrats to the EOTO 2018 Boys Team on their second place finish. The Las Vegas Live Tournament was a great experience for our boys. They went undefeated up to the Championship game. It was good to get out of our element to see the West Coast talent. On our way to the "Ship" we saw some great competition. We had an opportunity to play Vallejo Hustlers (CA), Vegas Elite (NV), Inland Force (CA), D. Gibb Hoops (TX) and 1 Team 1 Dream (CA). We lost the Championship game by 3 points to the Houston Rookies 72-69. 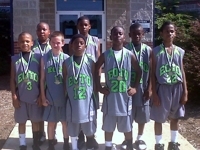 EOTO combined 13 players to compete in the Celtics ABC Tourney. There were some very good teams including Rhytes Warriors and the Arkansas Hawks, who are #2 and #8 in the country respectively. The boys played hard and gave it their all. But the two powerhouses were well prepared and very strong. It was a learning experience for the team and coaches. Which tells us we have plenty of work to do before nationals. Good luck Boys. 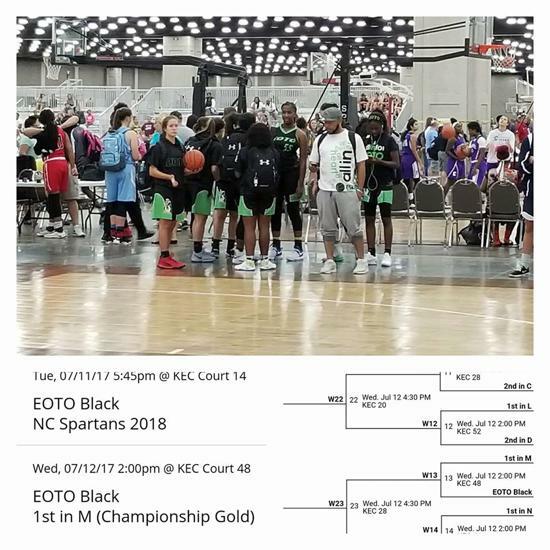 EOTO Black completed another perfect tournament with wins over Elite Basketball, ATL Celtics, GA Tarheels, EOTO Green and the Memphis Wildcats. On their way to another Championship. Derrick Lawrence was the tournament MVP. Armon Williams and Trey Morrison were chosen for the All-Tournament team. Way to go fellas..
Congrats to Coach Scott and the Black Team for their win. Both teams did very well in pool play by going undefeated. The championship game which was played between the two EOTO teams was tied until late in the 3rd quarter. When Juwan White, Travis Anderson and Myles Beleyu hit back to back 3 pointers, after that the Green team struggled. Great tournament and CONGRATS to both teams you played well. EOTO 10u Green defeated Team Express 37-26 to secure the 11u Championship in the Georgia Tarheels "Young Guns Shootout" Tournament held at Shiloh High School. They were 2-0 in pool play. We are so proud of them. Athens City Classic Tournament Winners! EOTO 10u Black wrapped up the weekend as winners of the Athens City Classic Tournament 10u. They went 2-1 in pool play and came back to revenge their earlier loss to the Sixers in the Championship game. This was a great way to end their regular season play before heading to YBOA Nationals next week in Kissimmee, FL. Way to go 10u Black! 10u Green relaxing at the airport as they prepare to board their flight to Maryland. Check back for updates on the weekend. 10u Green had a car wash/ bucket drop fundraiser Saturday on Pleasant Hill Road. Thank you to Waffle House Inc. for supporting EOTO. 10u Black pulled off an an exciting victory by defeating Greenwood Lakers 51-47 in the championship game in the Riverview Invitational. They finished the weekend tournament 5-0. 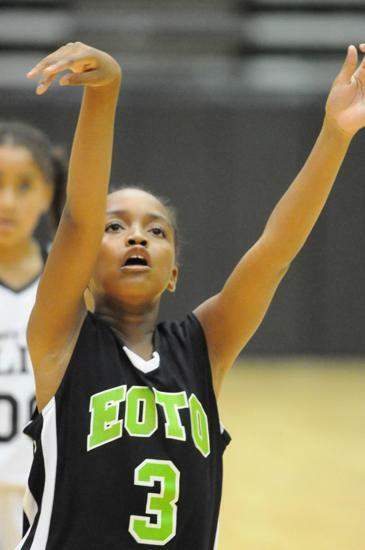 EOTO 10u Black started out strong but couldn't hold on to beat the South Carolina Ravens. We will continue to train and look forward to another opportunity to play the Ravens. Both EOTO 10u Teams Ranked #1 in Georgia! In an exciting and proud moment for EOTO, BOTH 10u teams have earned state titles and first place from the two largest basketball organizations in the country. 10u Green earned the AAU GA State title in March and today 10u Black followed up by securing the YBOA GA State title. 10u Black will play in the YBOA National Championship in Kissimmee, FL from June 27 - July 3. 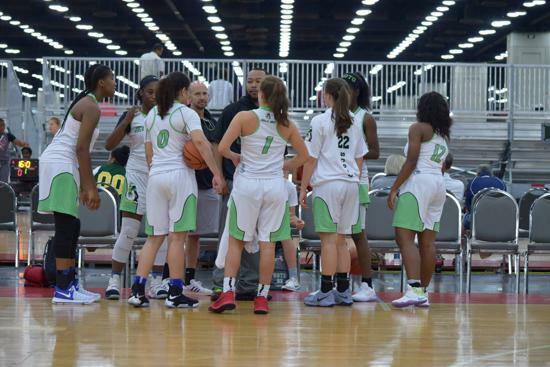 10u Green will play in the AAU National Championship, Div 1, in Detroit, MI on July 18 - July 23. 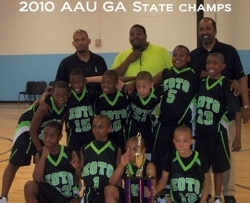 In a repeat of the 2009 YBOA State Championship, the last two teams standing were EOTO and the Atlanta Celtics... and once again, bragging rights and a title were on the line. The game was tight and even had a tied score at half time. 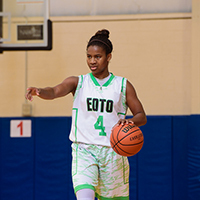 It wasn't until the final 3 minutes of the 4th quarter when numerous missed opportunities on the Celtics's side, coupled with steals and baskets on Eoto's side, allowed EOTO to pull ahead to win the game and thus the YBOA GA State Title. 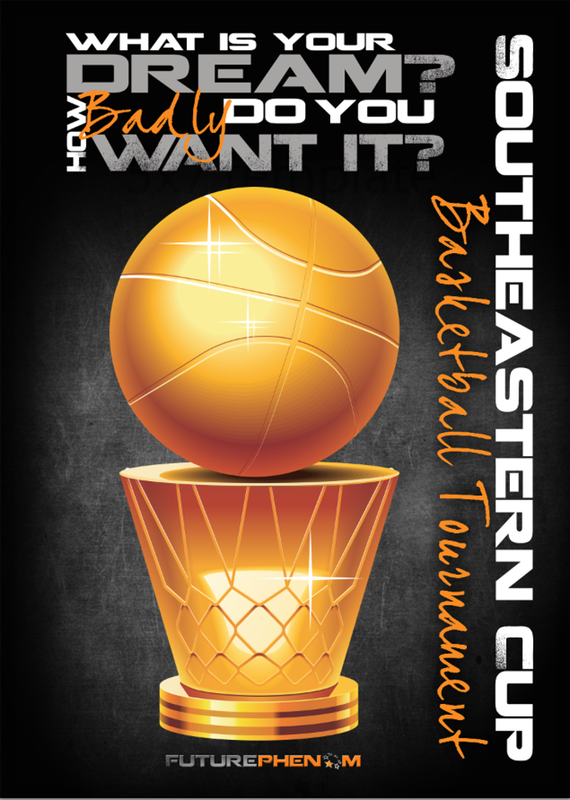 Kudos to the EOTO organization, coaches, players, parents and fans for their continued support. Hope to see you at Nationals! Both 10u Teams Celebrate Victories this weekend! 10u Black stayed in Georgia and played in the YBOA Roundball Classic. After winning a close pool play game Saturday night verses Team Athens and edging by the Tenneessee Superstars in the Semi-Finals, 10u Black once again had to face Team Athens in the Finals. Although, the teams were the same, the end result was far different, as the final score reflects... 44-30. 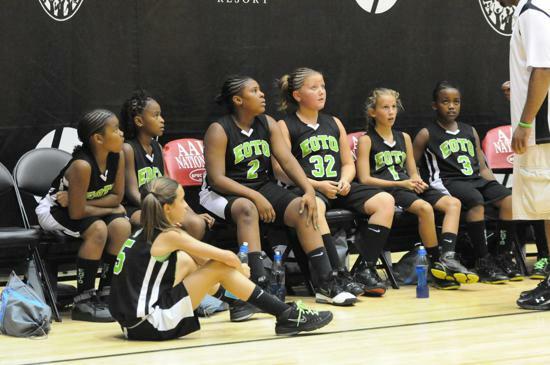 10u Green went on the road and participated in the Alabama Hustlers Tournament in Birmingham, AL. The win was assured early in the tournament as they beat teams in the 10u and 11u age groups. Congratulations to all players and Head Coaches Kelvin Lee and Scott Belyeu. In their first season out, Eoto 10u Black finished as runner-up in the YBOA Dacula Shootout. 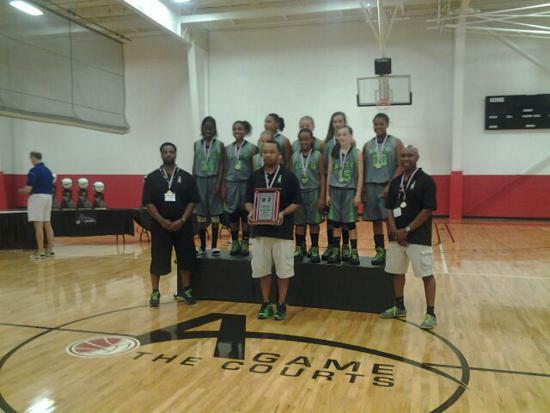 First place eluded them in the final minutes of the Championship game against the Atlanta Celtics. We celebrate the team and Head Coach Kelvin Lee. 10u Green Wins 1st Place! 10u Green traveled to Birmingham, Alabama and wins the Alabama Hustlers Magic City Rumble Tournament. Congrats to the players and Head Coach Scott Belyeu. 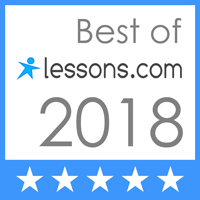 ©2019 Each One Teach One Basketball Association / SportsEngine. All Rights Reserved.